Do you journal, keep a diary, or a log book? 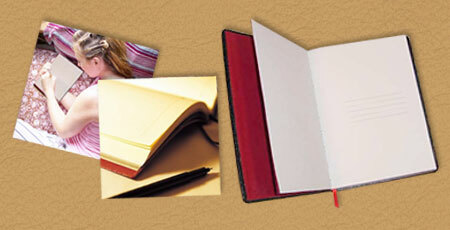 Our custom hand made Journals are beautifully crafted. In the same tradition as all Powell products, our journals are crafted to preserve your most precious memories, beautifully! 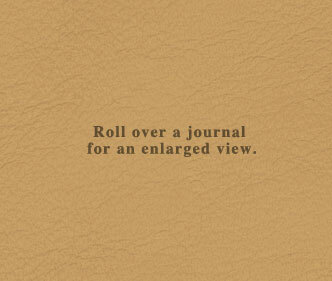 Journals are available with lined or unlined linen texture pages. All Powell page blocks are Smyth stitched by hand, which allows pages to lie flat, and offers excellent longevity. Our journals are available in any style shown here, and any color combination you wish.